“Te” stands for a virtuous moral strength that a person can rely on in the times of distress. Furute is a guide that gives you the strength to come out of distress and experience fortune and happiness. Furute brings you fortune and happiness when you are gloomy, it becomes a guide and a teacher, when you don’t know what is happening and require learning, and it becomes your moral strength when you are in distress. 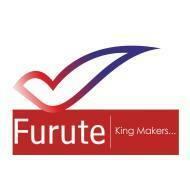 Furute is also a business training, consulting and life coaching organization based in Pune. It was founded by Ashay Shah on January 18, 2013. The organization aims at transforming lives and helping people realize their dreams. Furute’s mission is to correct the flow of people’s lives. Furute strongly believes that no limitation is big enough to stop you from achieving what you really want; all you really need is the strength to guide you through your difficult times. Furute conducts classes in Business Analysis Training, Business Analytics Training and SAP. It is located in Camp, Pune. It takes Regular Classes- at the Institute.